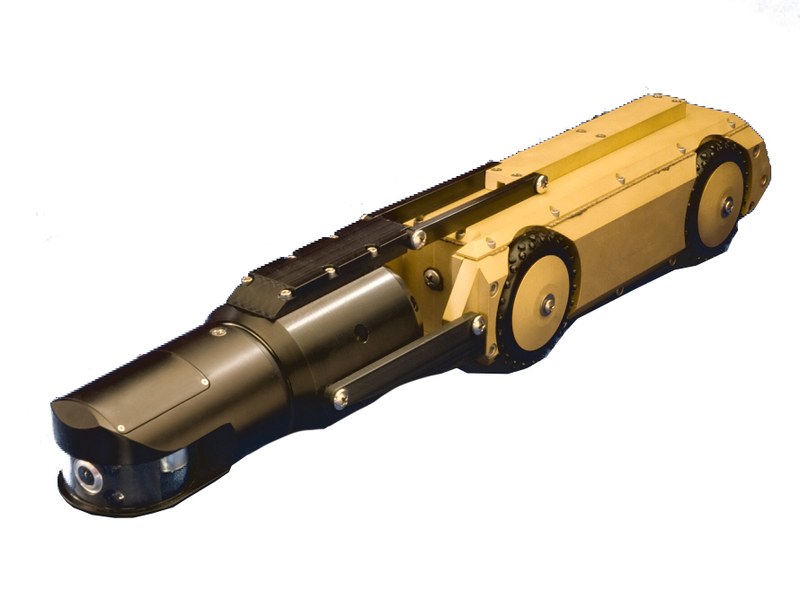 The Mighty Mini Tractor’s easily adjustable cantilevered camera mount and optional tire combinations allow for superior performance in small pipelines. Ideal for those who need to inspect four- to ten-inch pipes, the Mighty Mini Tractor can reach travel speeds up to 30 feet per minute with plenty of power generated by a 90W rare-earth permanent magnet motor, high-efficiency planetary gear train and four-wheel drive. Travel speeds up to 30 feet per minute. Simple clutch mechanism for freewheel retrieval. Additional weight option available for increased traction.